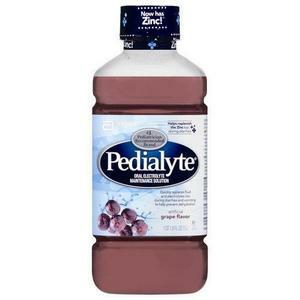 Pedialyte Oral Electrolyte Solution is designed to promote fluid absorption more effectively than common househould beverages. Pedialyte Solution quickly replaces vital minerals and nutrients that are lost during diarrhea and vomiting. 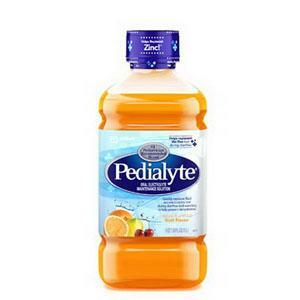 Pedialyte helps prevent dehydration in children and adults. 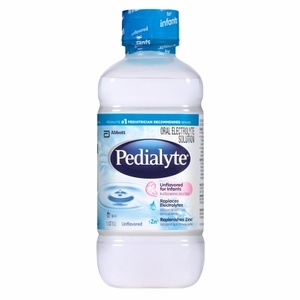 It can be used for maintenance of water and electrolytes following corrective parenteral therapy of diarrhea. It provides glucose to promote sodium and water absorption. 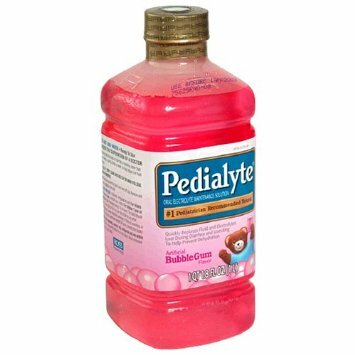 Available in 2oz travel size bottles and 1 liter bottles. Available in 4 flavors.